Beautiful! I'm a fan of gray! 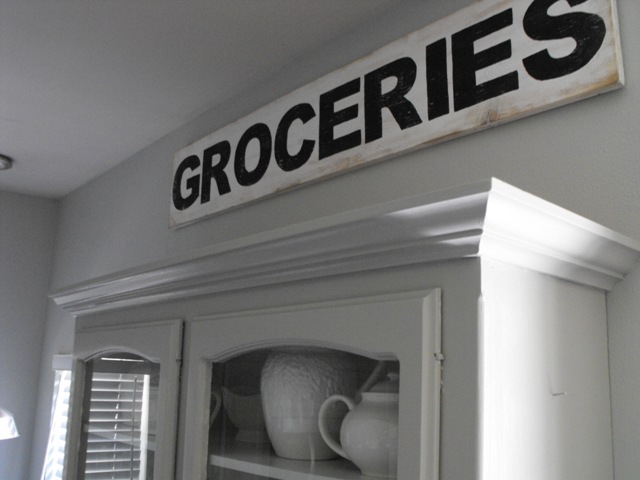 The walls, cabinets, signs... all look great! A stunning kitchen! 'Love the grey. It looks great. What a smart idea. 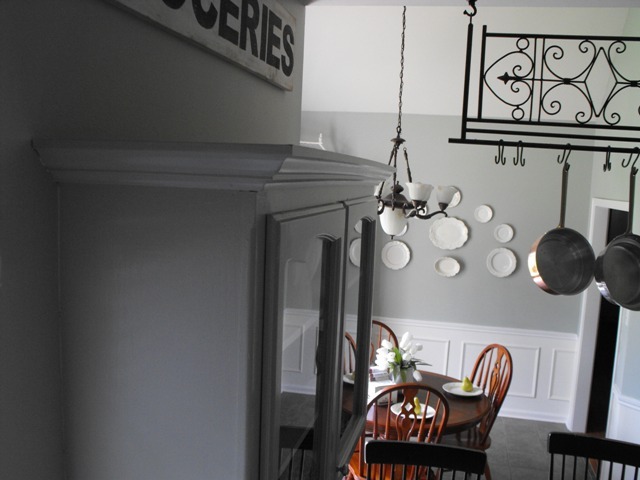 Your kitchen is so very pretty. Simplicity at its best. susie! 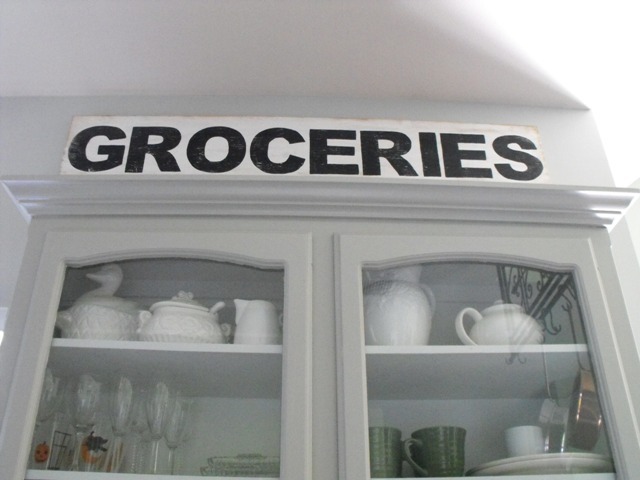 your cabinets look fabulous...and your signs are super cute! :) so glad you went for it! Gorgeous! I've never been big on gray, but you make it so tempting!! 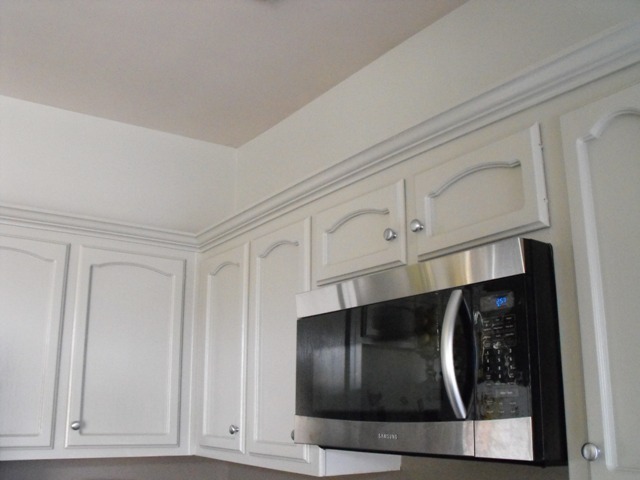 I love the gray cabinets and the new color looks great against them! Your sign is fantastic. I love it! I never would have thought of that! I would have painted the whole thing over again! Ugh! 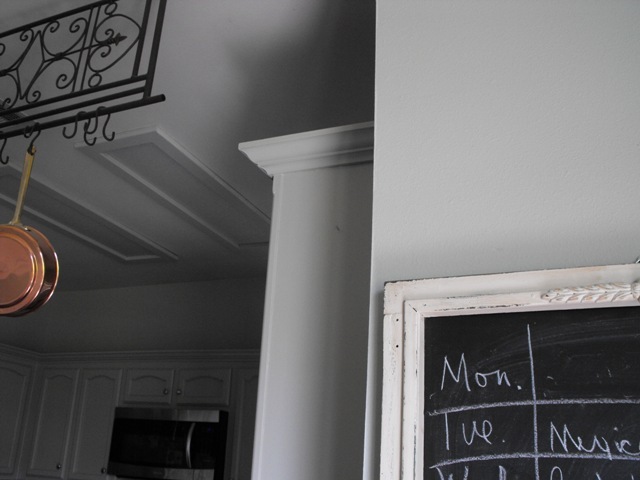 Your kitchen looks so great and does not look dreary at all!! I love your signs too!!! 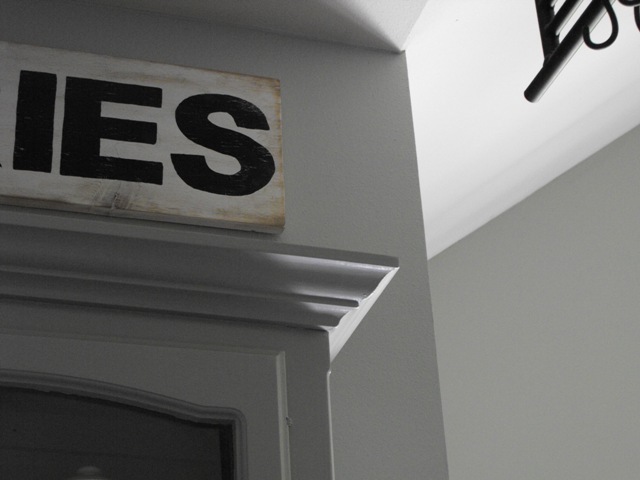 This is a fabulous trick, I love the color of the walls!Both of them!! Your signs are really cool too! You got me my dear....great job. You are such a master! 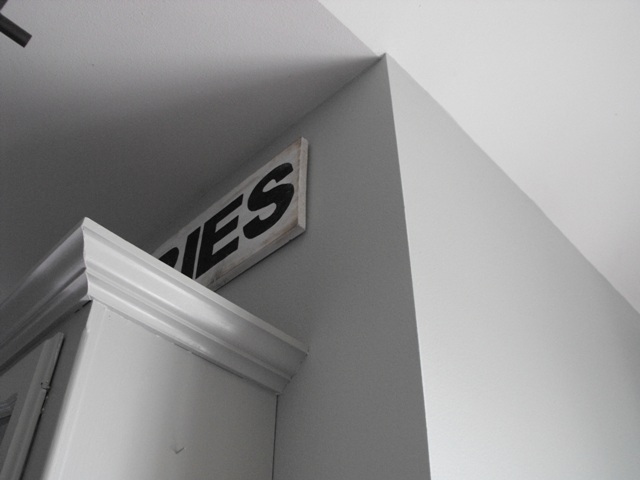 I definitely will pocket this little slight of hand/paint trick into the decor files. Thank you for taking the risk and creating a GENIUS solution. 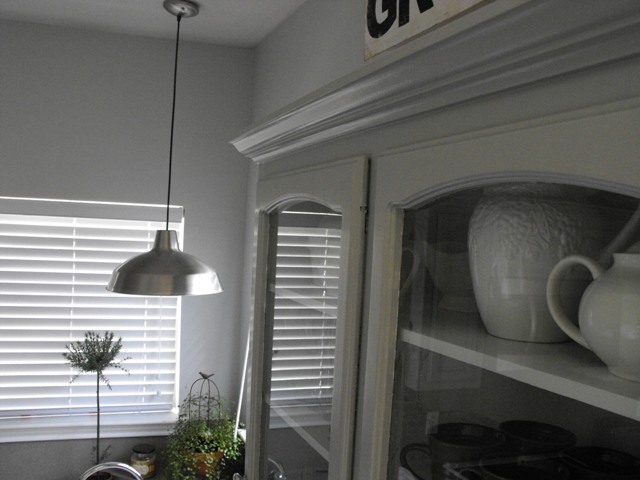 Your kitchen cracks me up because I worked for Martha and boy, oh, boy does she love Bedford Gray! We used it for everything! 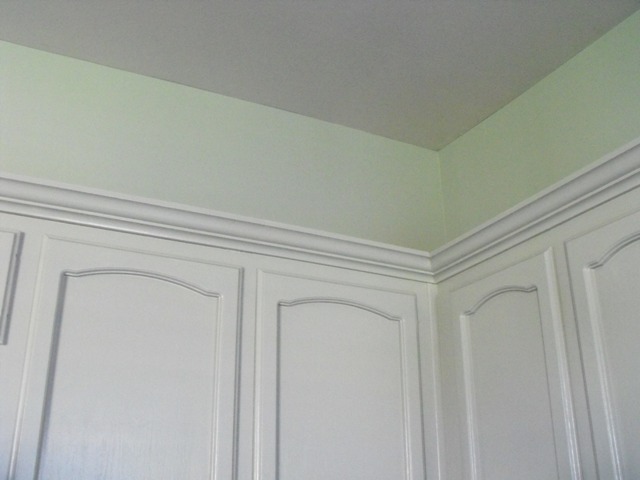 It looks stunning on your cabinets! I really wish I wasn't renting because I would use it on my cabinets too! Ha! 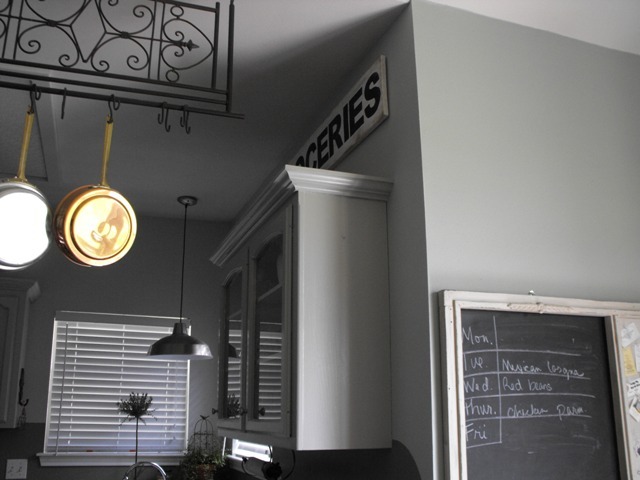 Love the gray cabinets!! I am new to blogging and I LOVE your blog and painted my bedroom Comfort Gray after reading about it in your blog. I am like you, I don't think I could ever give that paint color up, but you worked it out. Now you can have the best of both!! Clever, very clever! Thanks for sharing this great painting tip/trick with us. 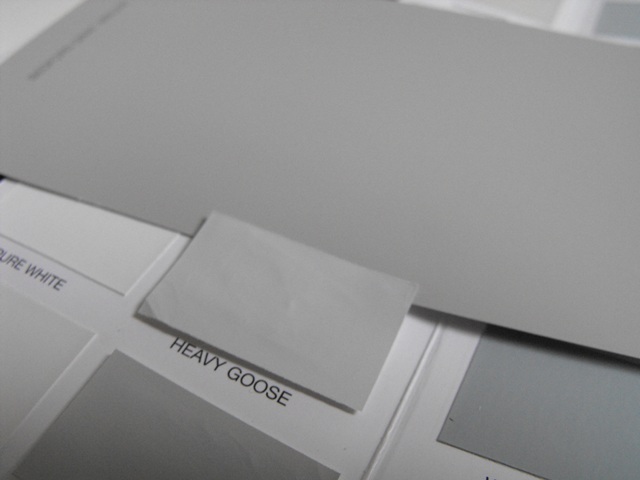 HEAVY GOOSE ~ really, who names paint colors these days . . .
Gray is such a soothing color. Glad you got things worked out. It looks great!! Love & blessings from NC! 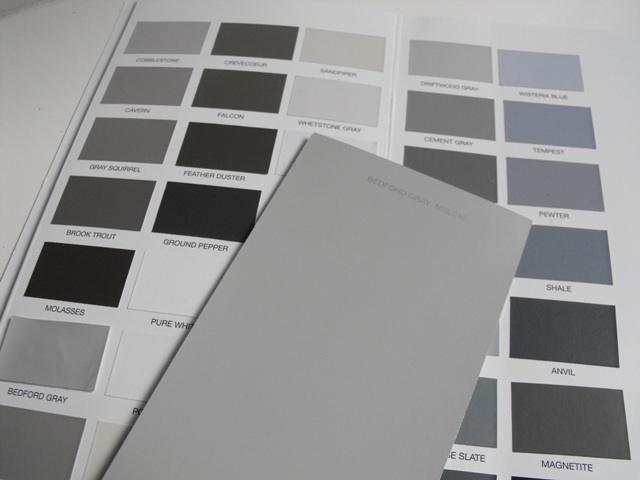 Lovin the grey - are you soo sick of painting yet? You must be by now! Wow, Susie--a stroke brilliance! You done good, girl. Hope you had a great trip to pick up your dad and got to enjoy that late-night run with your sis. You two are so beautiful! I really love this, Susie! I love a neutral dining room and kitchen...I feel like they are so flexible and they easily accept a plethora of colors when I decorate for parties or the holidays, etc. HUGS!! Very pretty and serene kitchen Susie. You are an incredible and talented designer. You are very clever. I've had the same problem with walls not being the color they were painted!! Susie I LOVE how it all turned out!!! Gorgeous! Girl you are a genius! It all looks fabulous!